In the aftermath of the Turkish invasion of Cyprus in 1974, the island’s cultural patrimony was ravaged by looting, particularly in the Turkish-controlled area of Northern Cyprus. The northeastern Karpass peninsula was heavily targeted by heritage despoilers, with thefts going on for years after the invasion. 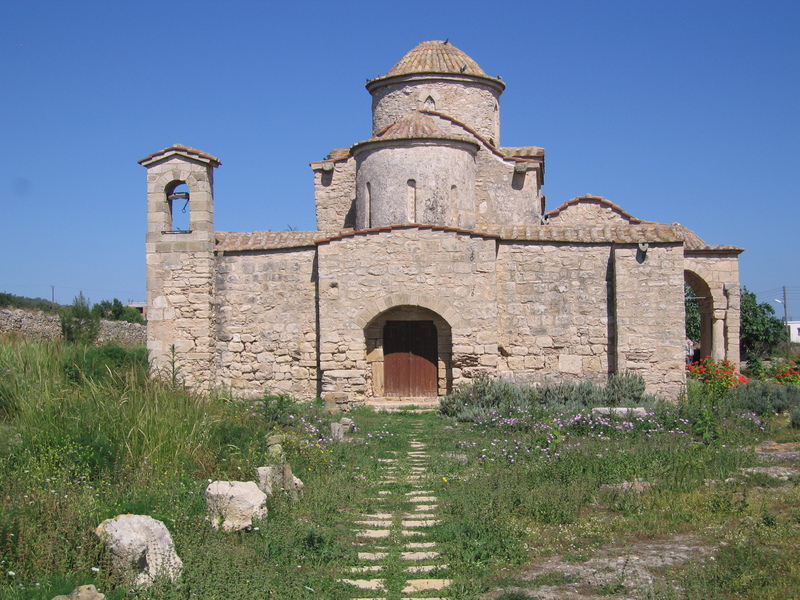 The church of Panagia Kanakaria in the village of Lythrangomi, an extremely rare survival of a 6th century monastery church famed for its Byzantine mosaics, was pillaged by Turkish occupation troops in 1979. Its mosaics of Jesus, the Virgin Mary and apostles, iconographically unique masterpieces of Early Christian mosaic art, were stripped off the walls and sold to antiquities buyers who didn’t give a damn about the brutality underpinning their acquisitions. The looting was reported to UNESCO, other international heritage and policing organizations. 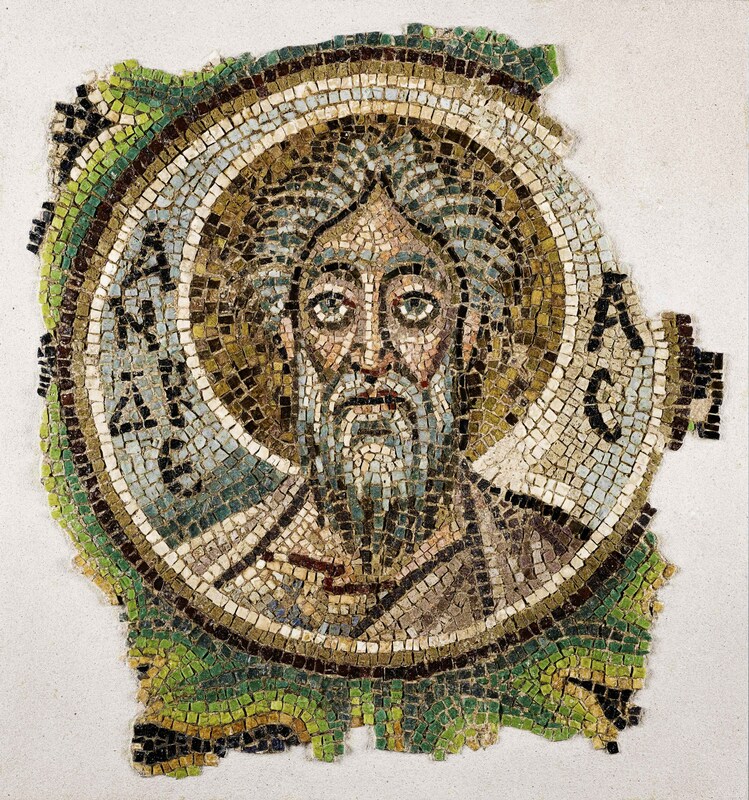 Experts in Byzantine art were also notified so they could keep an eye out for the mosaics in institutions and collections. In 1983, two of the Apostle medallions that once adorned the apse of the church were located by a London art dealer and returned through Germany. In 1988, US dealer Peg Goldberg bought four Panagia Kanakaria mosaics for $1 million. She then turned around and tried to sell them to the J. Paul Getty Museum in California, but the Getty was suspicious and alerted Greek Cypriot authorities. The Autocephalous Greek Orthodox Church of Cyprus and the Republic of Cyprus filed a restitution claim in an Indianapolis federal court. Goldberg fought back, but her look-the-other-wayism was so egregious — the dealer claimed he had found the priceless mosaics “in an abandoned church,” she knew one of the middlemen was a convicted art forger, she only inspected the mosaics for a moment in the middle of the Geneva airport — that the US District Court for the Southern District of Indiana sided with the plaintiffs and ordered the mosaics returned to the Church. They were repatriated in August of 1991 and are now in the Byzantine Museum in Nicosia. 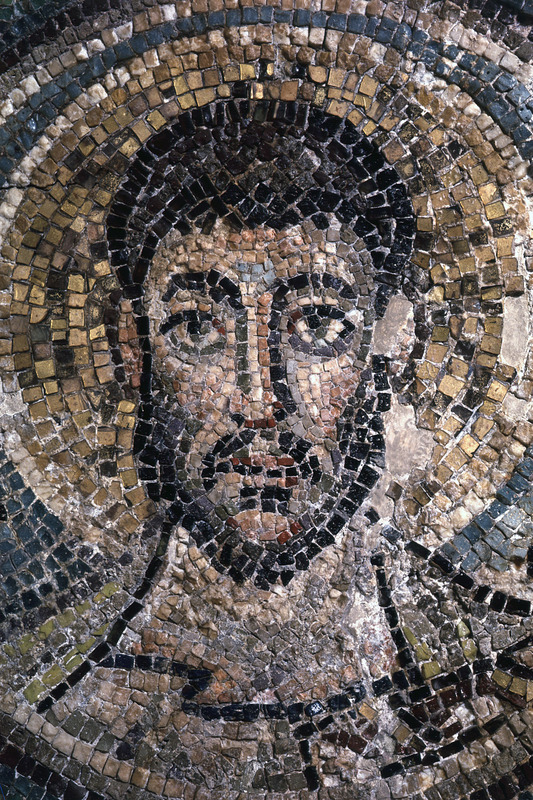 Turkish art dealer Aydin Dikmen was arrested in 1998 for having sold the looted Kanakaria mosaics to Peg Goldberg as well as other artifacts ripped from the walls of churches and monasteries. Greek Cypriot police and Department of Antiquities officials suspect him of having been instrumental in the savaging of Cyprus’ patrimony after the invasion and then spending decades selling his ill-gotten gains. 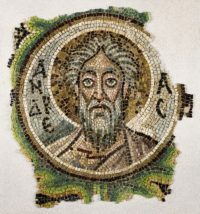 Another of the missing medallions, the one depicting the Apostle Thomas, was found in Dikmen’s possession during a police sting in October of 1997. Thaddeus was found the month before that. The hands of Archangel Gabriel and the Virgin Mary were found the month after that. More of them have been recovered since, leaving only two Apostle medallions still missing. Now one of those last remaining two, a vividly colored depiction of St. Andrew, has been recovered and repatriated to Cyprus. The mosaic was found in 2014 by the art historian Maria Paphiti. 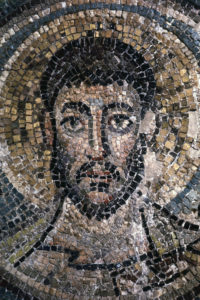 The last buyer of the mosaic acquired it as part of a larger collection of artworks in 2010. She asked Paphiti to prepare an exhibition for her pieces. 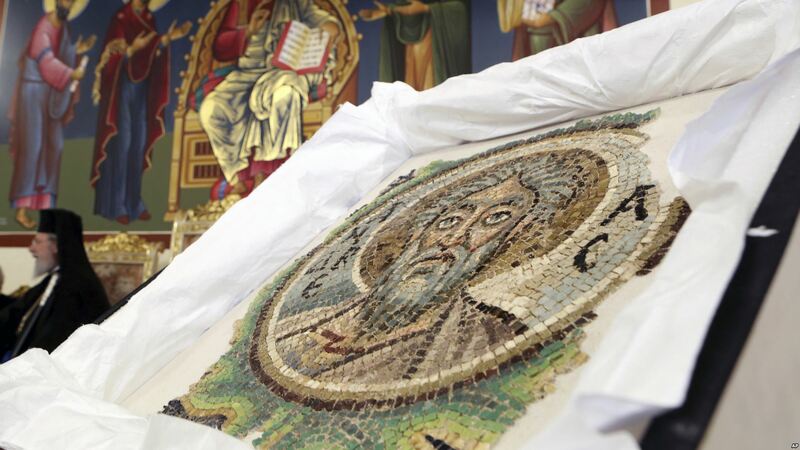 Paphiti told her about the origin of the mosaic and after a long period of negotiations, the owner finally agreed to hand it over to the Church of Cyprus without litigation and for only a symbolic sum. Dr Andreas Pittas, president of Medochemie and Roys Poyiadjis, a Cypriot businessman, based in New York, covered the cost and restoration. During the ceremony, the Medal of Apostle Andreas, the highest distinction of the Archbishopric of Cyprus was awarded to Paphiti, Poyiadjis and Pittas for their contribution to the repatriation of the mosaic. I hope it doesn’t take another four decades to find the last mission medallion, St. Mark. This entry was posted on Tuesday, April 24th, 2018 at 10:36 PM	and is filed under Ancient, Looting. You can follow any responses to this entry through the RSS 2.0 feed. You can skip to the end and leave a response. Pinging is currently not allowed. Good news! – In particular that Dr. Andreas Pittas successfully restored St. Andreas. However, the best solution would probably have been to just keep the Panagia untouched. Personally, have been to Agios Georgios Pegeia (near Pegeia, i.e. Western Cyprus, Pahos District), likewise from the early sixth century, and -what can I say?- It’s just ..G(e)orgeous! I even had to explain the frescoes to a local, as there was nobody else around. The place had once been a hot-spot for wheat transports from Egypt into Byzantion.